SF Locksmith provide Doncaster residents with a professional lock fitting service that is fully guaranteed for two years. We offer an emergency call out service to ensure that your family and home are secured as quickly as possible. No payment will be taken until the work is completed and you are satisfied with the result. 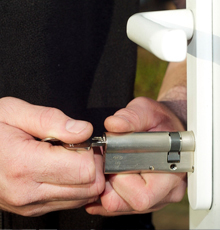 Are you looking to have new locks fitted to your existing doors? 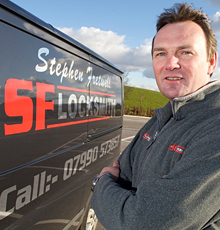 SF Locksmiths offer a professional lock fitting service to Doncaster homeowners. We are Police registered and CRB checked giving you the assurance that you are choosing an honest and reliable company. We do not charge a call out fee, which means if we are not able to complete the required work we will not charge you. 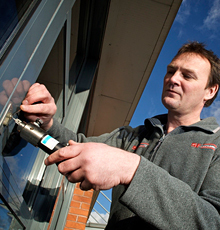 We provide a full commercial lock fitting service as well. Often locks found on commercial properties are totally different to domestic and not readily available at your local hardware stores. The most common types found are euro, oval, high security commercial door locks, digital locks and shutter locks, all of which we carry. Also emergency exit hardware and door closures are carried and can be installed. Have you lost your keys, been locked out or have been burgled? We are here to help! We provide an emergency lock repair and replacement service, with a reliable, dedicated, knowledgeable and fast response locksmith team on hand to help you out in all those unfortunate circumstances. He completed all the work to an excellent standard, with great advice and a lovely manner.